Access the 'Make Editable' function, by navigating to a teachers timetable, clicking 'Actions' and 'Make Editable. 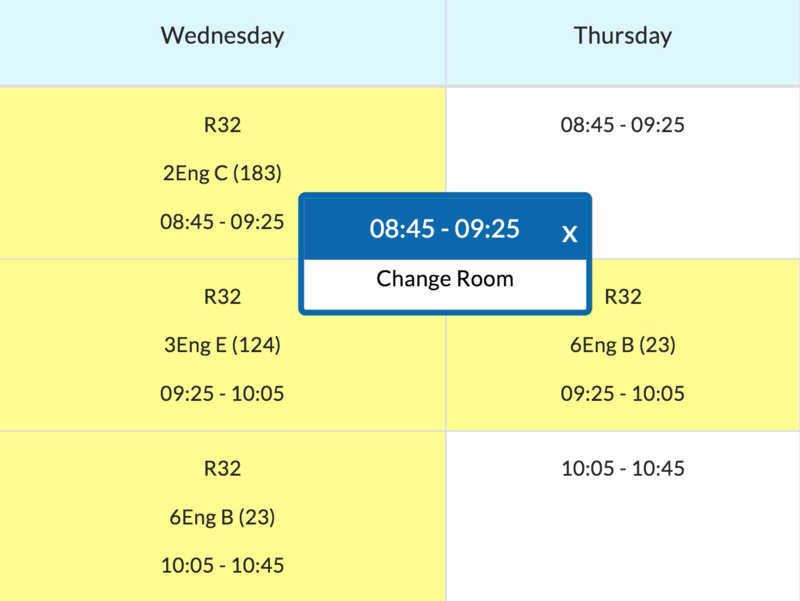 From here you can click on any existing teaching group and change the room for that period as shown below. 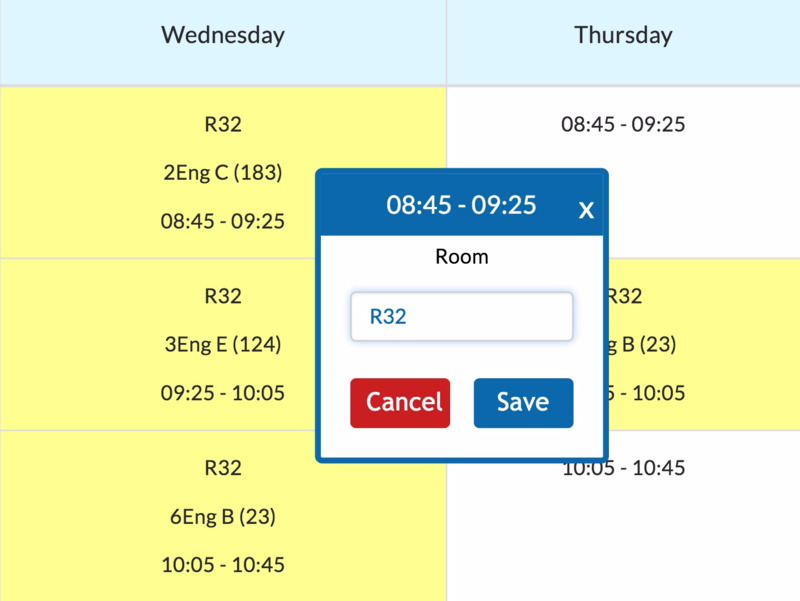 The dropdown for room changes will filter to show only available rooms, preventing any room clashes on your timetable. Once you have selected the room you wish to change to, just click 'Save' to confirm the edit.